MullenLowe Group announced the entry of MullenLowe Mediahub into the India market with the launch of Lintas Mediahub. In India, the media agency will operate as a division of MullenLowe Lintas Group’s omnichannel agency, PointNine Lintas. 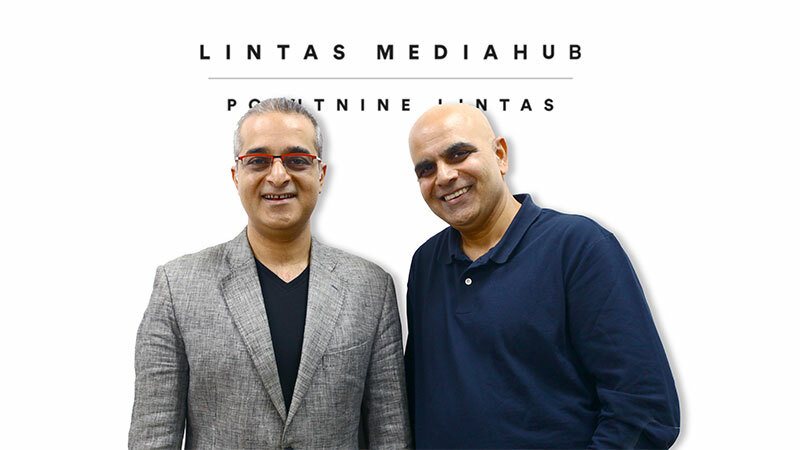 Lintas Mediahub is being launched as a full service media offering for a digitised world, and will offer media strategy, communications planning, media planning and buying across all touch-points, both on and offline. The agency will also include a performance marketing offering and a programmatic buying engine. In India, Lintas Mediahub aims to offer a counterpoint to the current crop of monolithic, volume hungry, singularly data obsessed media agency models. As a part of the omnichannel offering of PointNine Lintas, it is designed to bring creativity and media together. Lintas Mediahub will be headed by Vidhu Sagar, who joins as National Director – Media, and will be based in Mumbai. Sagar joins from WPP where he was the Business lead at Global Team Blue (GTB) – WPP’s integrated agency for Ford Motors. Prior to that he was an EVP at Carat Media India, served as General Manager, FCB‐Ulka Delhi and was also Head of Marketing at India Today Group, amongst other roles. Sagar understands the aspirations of an omnichannel agency like PointNine Lintas and comes with rich experience across the diverse disciplines of media planning, brand strategy and account management. Throughout his career he has acted as a brand champion for ground breaking communication solutions for a variety of clients, including international brands such as BMW, General Motors, Ford, British Airways, Bausch & Lomb, Tropicana, MasterCard, Reebok, and Bose, as well as prominent Indian players such as ITC, Dabur, Hero, HCL, NIIT and Muthoot Group. Lintas Mediahub will offer its services to clients across agencies of MullenLowe Lintas Group in India – Lowe Lintas, Mullen Lintas and PointNine Lintas. The launch in India, marks the expansion of the MullenLowe Mediahub network into 14 cities around the world, including Los Angeles, New York, London, Sydney, Singapore, Tokyo and Shanghai. Recently MullenLowe Mediahub was named MediaPost’s Creative Media Agency of the Year for the second consecutive year, and has an enviable client list that includes Chipotle, Eurosport, JetBlue, Harley-Davidson, Netflix, Royal Caribbean, Staples, and Western Union.